This movie is like Alice in wonderland for grown ups that are into fantasy's. Pan's Labyrinth is Guillermo Del Toro's masterwork. It tells a macabre Alice in Wonderland type story, framed against a tragic WWII setting. The film features a host of creative and dark visuals and succeeds on both the adventure and thriller fronts. More importantly, though, Del Toro shows great emotional depth in directing the more human elements of the story that collide with the created fantasy realm. Everybody's darling. I'll see it again sometime and try to raise my rating of it. Dark, difficult, symbolic. Director: Guillermo del Toro Producer: Alfonso Cuarón. What can go wrong with this? 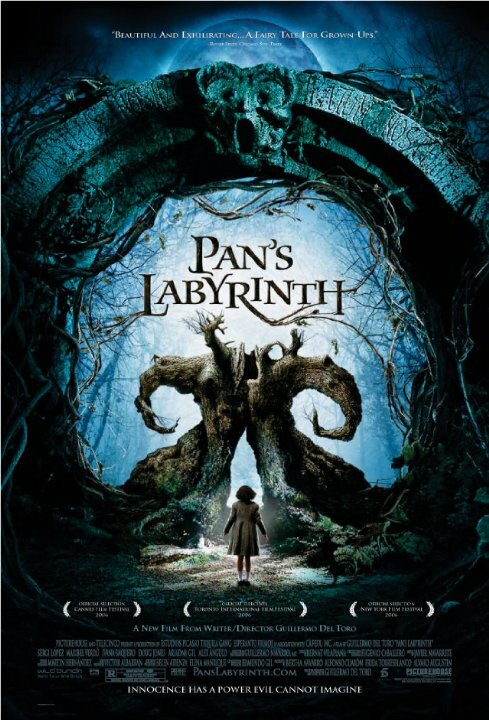 Pan's Labyrinth is a very well-done film, but it's definitely not a kids' movie, nor is it for the faint of heart. &amp;nbsp;I wouldn't take kids to see Pan's Labyrinth. &amp;nbsp;It's too intense for kids, as many other movies are. i thought it was a kid's movie until i actually watched it &amp;amp; then i had to tell my little brother to close his eyes &amp;amp; cover his ears&amp;nbsp;through the violent parts. the story line wasn't too bad, but it is disturbing especially the end. i liked it, as weird as that may sound, but don't recommend it for anyone who might have a sensitive stomach to bloody beatdowns.